Thousands of people who practice the traditional Chinese spiritual discipline of Falun Dafa will take part in a variety of activities and events in New York planned in anticipation of this year’s World Falun Dafa Day on May 13. From May 11 to May 15, both local and visiting practitioners will take part in mass public activities like group meditation, a parade across Manhattan, as well as cultural performances and an experience sharing conference. Practitioners have organized and taken part in these gatherings in New York and other cities around the world for many years, both to promote Falun Dafa (also known as Falun Gong) and to raise awareness about the ongoing persecution it suffers at the hands of the Chinese communist regime. Dozens of New York state officials, including members of the U.S. Congress, have extended greetings in the lead-up to the Falun Gong activities. 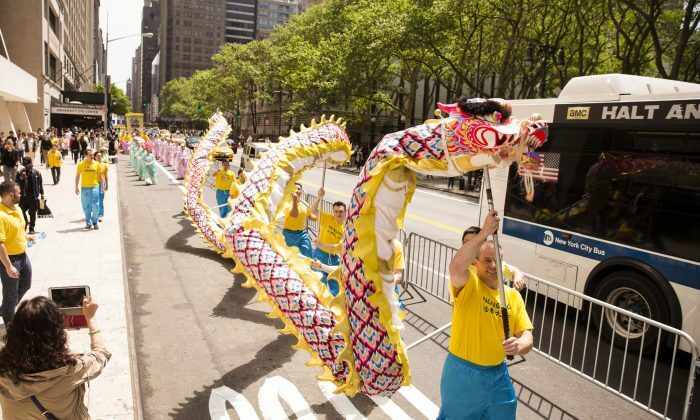 For Falun Gong’s 24th anniversary on May 13, a Friday, over 10,000 people are predicted to take part in a parade from east to west across Manhattan. The massive spectacle will include Chinese dragon and lion dances, marching bands, and dancers in ancient-style Chinese dress. 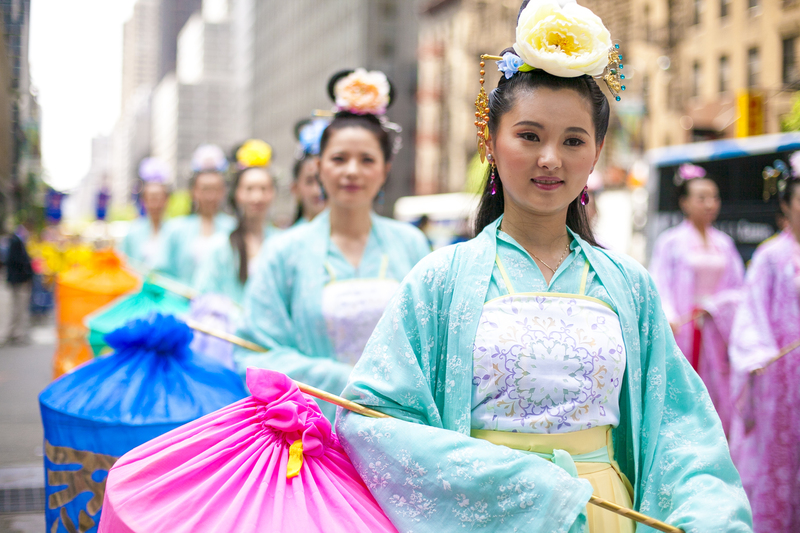 Practitioners of multiple nationalities and cultures will wear traditional clothing while holding banners celebrating Falun Dafa’s reach across dozens of nations. 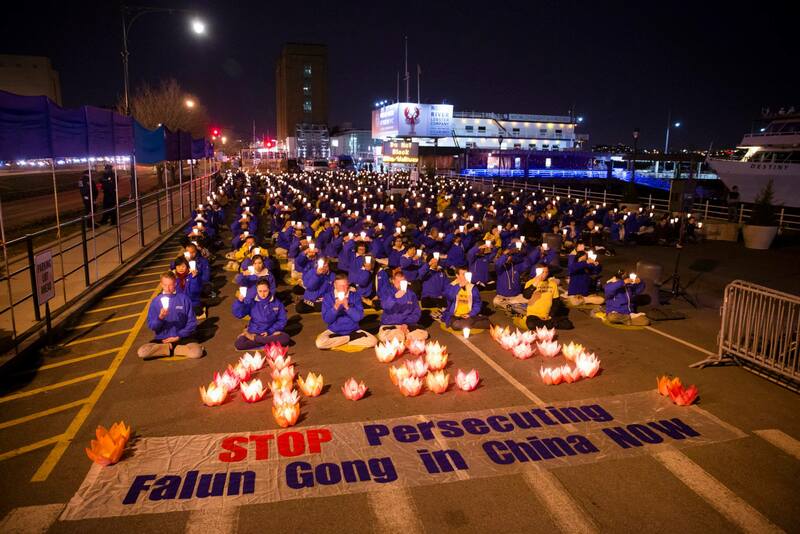 On May 11 and 12, practitioners will hold rallies at City Hall and stage protests before the Chinese Consulate, calling for the end of the nearly 17 years of persecution that Falun Gong faces in its homeland. In the morning of May 12, some 1,100 people will take part in a large-scale formation of Chinese characters, wearing color-coded clothing to display the words for “Falun Dafa” in Gantry Park. Later in the day, there will be a performing arts event at Union Square and group meditations at various locales about the five boroughs. On May 15, thousands of practitioners will attend a conference at which individual speakers discuss their moral and spiritual experiences of the practice, as well as the activities they engage in to shed light on the persecution against it. Many practitioners taking part in the celebrations will wear yellow or blue shirts—these being colors closely associated with Falun Gong. Falun Dafa has millions of adherents around the world. It was first taught to the general public on May 13, 1992, by Master Li Hongzhi in the Chinese city of Changchun. In 1999, the Chinese regime, which estimated that 70 to 100 million Chinese were practicing Falun Gong, launched a brutal all-out campaign against the peaceful group on a nationwide scale. The ongoing repression has claimed potentially hundreds of thousands of lives, according to researchers. Last year, some 8,000 Falun Gong practitioners from over fifty nations attended World Falun Dafa Day events in New York.